OAKLAND, New Jersey (WABC) -- A tractor-trailer crashed and caught fire on I-287 in New Jersey Thursday, causing the shutdown of the highway's southbound lanes. The accident happened at milepost 58.5 in Oakland. 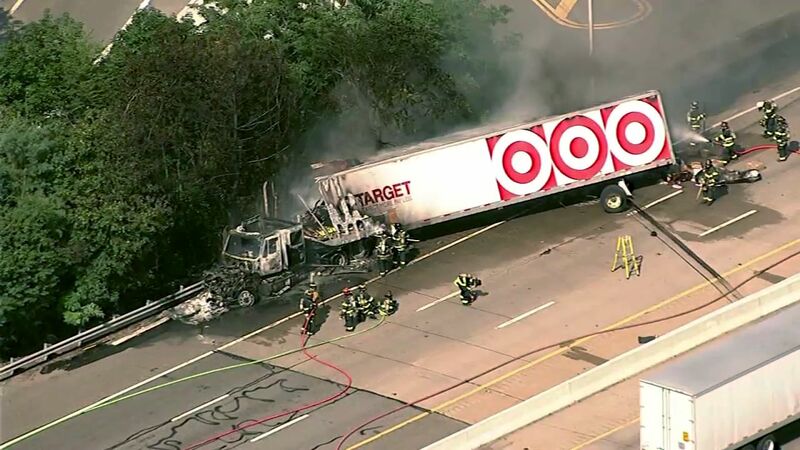 The truck is a tractor-trailer for Target stores. The driver has been accounted for and is safe. Preliminary indications are that the truck hit the center divider and veered off to the right, then crashed. The fire was placed under control. There was heavy traffic in the area, including rubber-necking delays on the northbound side of 287.